Bollywood may be one of the biggest film industries in the world but the makers must realize that until and unless they don’t take the audience for a ride, their film will do it. Fanney Khan takes them for a ride by coming up with a plot that’s very similar to Secret Superstar and the audience reject the new movie for that. While all the attention in the Aamir Khan Production was on the girl who wanted to become a singer, in Anil Kapoor’s version, it’s all about the father who wants his overweight daughter to succeed. The film would have done well had it been released before Secret Superstar or a decade after but releasing it after just 10 months was always going to be a suicide mission. Small time singer Prashant Sharma aka Fanney Khan (Anil Kapoor) names his daughter Lata (Pihu Sand) and wants her to succeed like her legendary namesake. Sadly, her daughter is a little overweight and despite singing in tune, she chooses the worst songs for her performances. Enters Baby Singh (Aishwarya Rai Bachchan) who is the leading superstar of the era and when she lands up in Fanney’s taxi, he decides to kidnap her so that she can help them out in any way which she can. With the help of Adhir (Rajkummar Rao), they demand one shot at glory for Lata as ransom and that’s where things go sideways. Does Lata succeed as a singer or do the kidnappers pay for their crime; watch Fanney Khan to know who wins in the end. Fanney Khan starts on a good note with Anil Kapoor dancing on a Shammi Kapoor hit, but after that, you have to wait till the climax for the same amount of energy. Yes, the actor gives a class performance but that’s because he has always raised the bar with his acting, and that’s one of the reasons why he managed to deliver hits in the Khan-dominated 90s and beyond. He looks like a helpless father and most of his dialogues resonate with the fathers of today. Divya Dutt as his wife is outstanding as well. Then there is Sonu Nigam’s rendition of Mohammad Rafi’s Badan Pe Sitare that brings back the 90s element because Sonu did become famous by singing covers of Mohammad Rafi. The film may be the official remake of Everybody’s Famous but it looks too amateur to be a Bollywood film. Atul Manjrekar fails as a director and had Anil Kapoor not played the father, Aishwarya the superstar and Rajkummar Rao the friend, not many would have dared to watch the film as well. Pihu Sand is playing the important role of an overweight singer but her character doesn’t have to be insulting all the time and that’s why no one in the audience is sympathetic to her character even when she gets the chance and does well. Aishwarya looks as stunning as you would have expected was wasted in such an unimportant role and same goes for Rajkummar Rao who is a better actor than playing second lead to an actor who is over-the-hill. And one fails to understand why a prominent actor like Girish Kulkarni apes Nawazuddin Siddiqui; he has been playing a villain in films that have done well and even if he wanted to switch sides, he could have done it in his own way than ending up as a poor copy of Nawazuddin Siddiqui. Fanney Khan would have done wonders had the editing been better, had the actors been cast as per the characters rather than for their star value, had the story been a little ‘personal’ like Secret Superstar, and had the loser Lata been shown as a human Lata; some might have agreed with the way she judged her father but many didn’t. There were many loopholes in the plot and its execution and they were two of the many reasons why so many stars can’t save the ship from sinking. 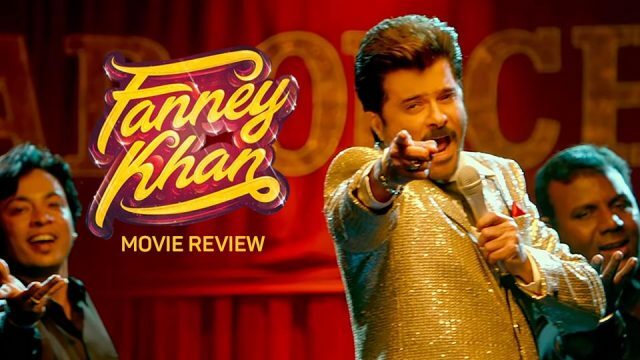 The never-say-die-attitude of Fanney Khan looked good onscreen but off it, the film was in need of everything from a better plot to a better director, the lack of both put a full-stop in a story where there could have been an exclamation mark.